AMIA is the American Medical Informatics Association. I just gave the opening keynote at their annual conference. What a thrill. AMIA has a special spot in my heart because my primary physician Dr. Danny Sands is one of the best known figures in it. Walking around with him there, it’s obvious how many people love him. And, well, these are my people: data geeks! My whole career has been involved one way or another with information technology, and that’s what this association is about. I had extreme anxiety about this talk, partly because I so wanted to do justice to the many fine people I know there who invited me, partly because it was a huge audience (2,000), but also because I only had one hour, and I had two hours of things to say. So many important things to think about – what to include and what not? And how to put it together in a sequence that builds to a fitting conclusion? Well, it worked out. A standing ovation (see photo). What an honor, what a thrill. I’m truly humbled, thrilled and happy to be able to connect this well with an audience that I so admire. Thank you especially to AMIA board member Bonnie Westra, of the U of Minnesota School of Nursing, and John Holmes of the U of Pennsylvania Perelman School of Medicine [see comment below], for initiating this invitation. I was invited to last year’s event but was already booked – so we signed this deal in July 2012. Couldn’t have worked out better. A taste of how fun it was is in the Twitter feed below. Rogelio Pante MD,FHM ‏@HealthITDoc22m Thank you. That’s very inspirational and powerful talk. 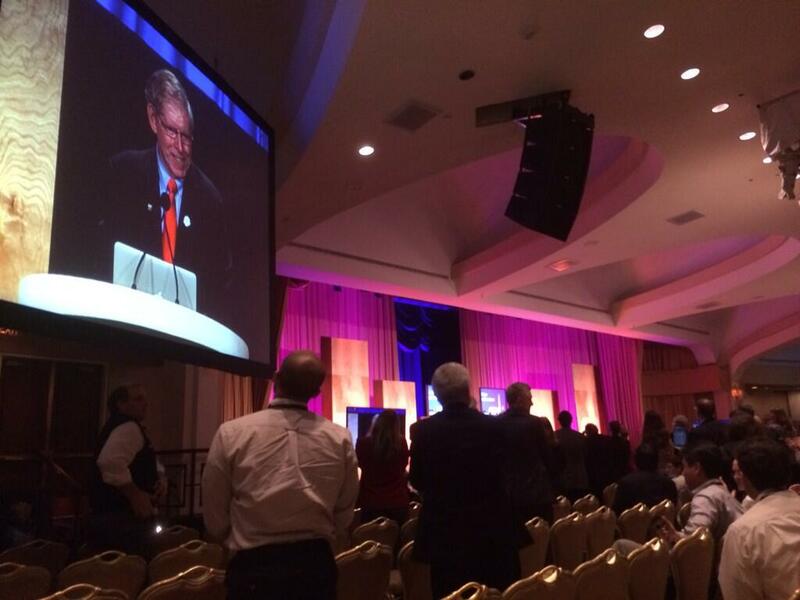 @titusschleyer: #AMIA2013 @ePatientDave ‘s keynote too interesting to tweet about it – you just gotta be there! @ePatientDave continues to provide incredibly provocative stories about his medical experience. Pharma, biotech needs to hear. @RossMartin: The future of medicine is really different – half of all humans who have ever lived to 65 are alive today. #AMIA2013 #ePatientDave is simply an inspiration… Best description of the “Health Landscape” I have heard to date.. speaks volumes! @slabkoff: @ePatientDave talk may be the best since Dan Masys 2000 Genomics Opening Plenary #AMIA2013. Practical, meaningful and heart felt. Thrilled to have been there. Dave used humor and real life examples to illustrate the patient perspective. Shook many out of their comfort zone and they are still talking! Your link [http://epatientdave.com/2013/11/17/wonderful-experience-at-amia2013/www.amia.org/amia2013] isn’t working. AND – is your talk on the web yet? Thanks, Elizabeth – I fixed the conference link. Dave- many, many thanks again for a fabulous keynote! When people come up to me with compliments on this year’s program, they are invariably talking about you. What a GREAT way to start the Symposium. I’m so glad Bonnie and I were on the 2012 scientific program committee together- when I was appointed for 2013, i just knew I had to get you on the 2013 program! This was a Symposium keynote that won’t be soon forgotten! All, John’s welcome message to the event is here. John, here’s a modest proposition for next year’s event: could we set up an exploratory task force to collect real patient stories that illustrate the value of patient engagement with the medical record? Could make some potent “lessons learned” sessions.